Stainless steel is used in every country on the planet and is referred to by many other names from rostfreier Stahl to acciaio inossidabile. Found across the spectrum of industry from construction to aeronautics and from medicine to power generation, stainless steel is of global importance and BS Stainless are proud suppliers of the material to businesses all over the world. As part of our global strategy, BS Stainless send company delegates to trade fairs and other events in the UK, Europe and beyond. One such event was the recent WIRE exhibition in Dusseldorf, at which our company was hugely successful. As the largest supplier of stainless steel wire in the UK, BS Stainless offer a comprehensive selection of stainless steel materials and components and the WIRE exhibition is the perfect place to show off our skills and experience. Though there is much economic uncertainty due to Brexit, there was still plenty of market potential discovered at WIRE, with huge demand for our products noted from Belgium, Finland, Poland, Greece, Germany, Italy, France, Russia and Turkey. Our repre­sen­ta­tives plan to attend the next WIRE event in 2020. Gastech is another trade event that our repre­sen­ta­tives attend. This year's event focused on European markets, from which there was significant demand for narrow coil stainless steel strip for banding and stainless steel wire for lacing and tying. Cold rolled precision slit stainless steel deburred edge coil is one of the most versatile stainless steel products and demand continues to increase. These are used in conjunction with our innovative cladding solutions to securely hold them in place. 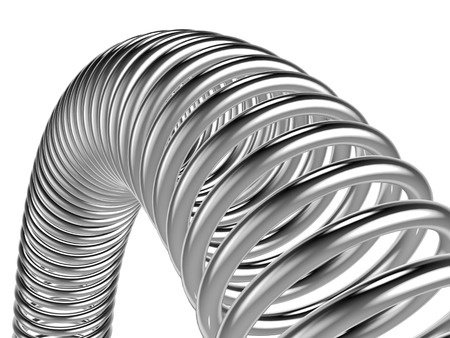 Find out more about stainless steel wire and strip coil on our website.